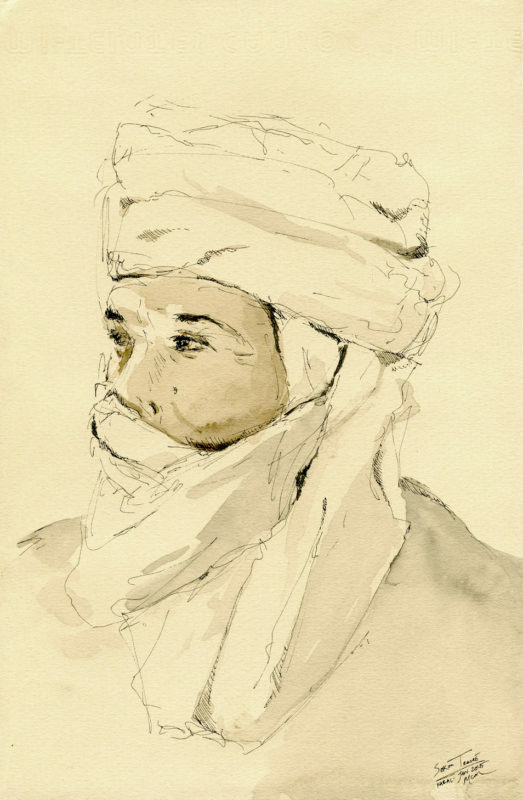 This sketch is a portrait of my friend Sekou, a Tuareg I met while in Mali, West Africa. He’s a gentle, thoughtful teacher who gave me Tamasheq lessons as I was welcomed into his community. I’ve experienced so much love, compassion, and generosity around the world- I want to stand up for the United States giving the same. Amen! Without compassion and love, life is hardly worth living. Thank you for sharing this. Here’s to our hope for a brighter, more compassionate tomorrow.